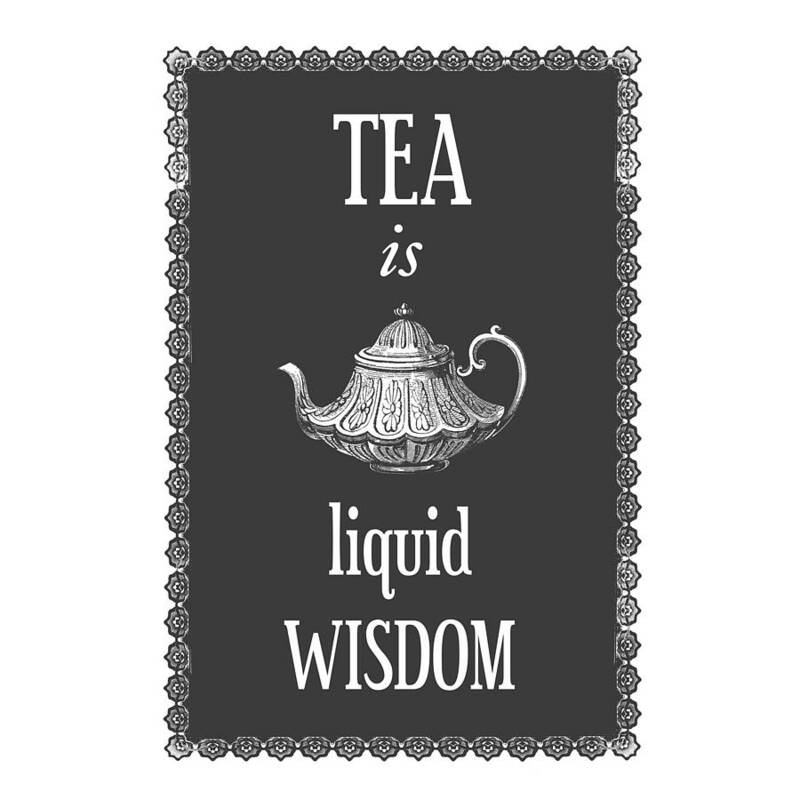 Did you ever think you could learn a lesson from drinking tea? If you’re like me, your first thought is probably “no.” Recently, though, I have learned that tea is inspiring. As the second most consumed beverage in the world (after water), there must be something more to tea than quenching our thirst or soothing our sore throats. Throughout the world, many people find that tea soothes the soul and provides wisdom in our daily lives. 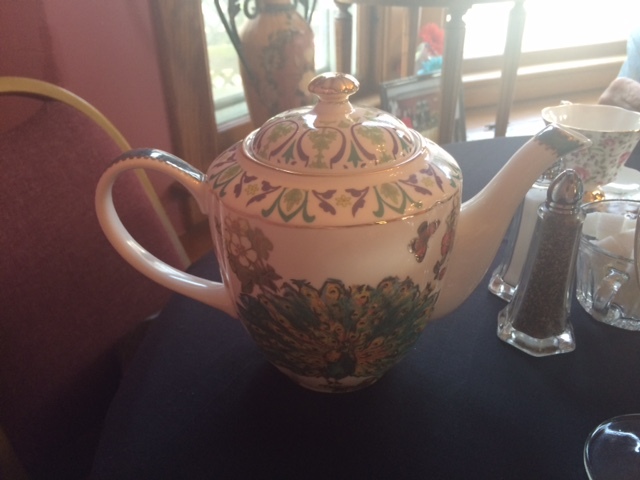 A couple weeks ago, I learned from Gloria Kemer at the Emerald Necklace Inn & Tea Room in Cleveland, Ohio that tea reminds us to slow down and appreciate the moment. When I think about, how often am I eating “on the go” or getting a coffee “on the go”? The truth is, more often than not, I am in a rush, “on the go,” and forgetting the importance of living in the present and appreciating each day as it comes. With a precious antique cup and warm beverage, tea helps us pause for a moment in the day and simply enjoy. 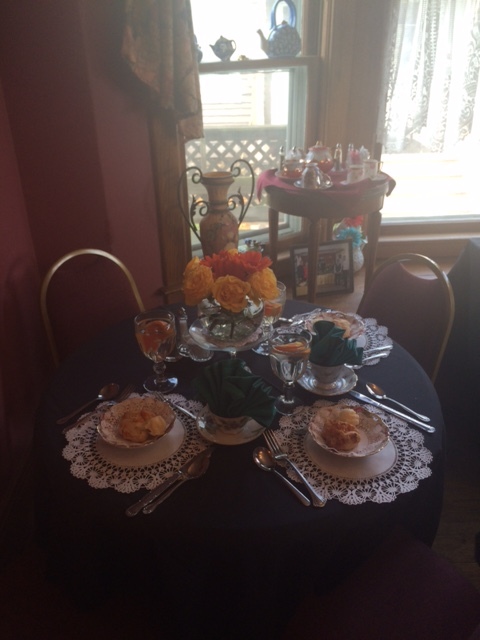 Over the weekend, I attended a Mother’s Day Tea with my mom and grandma at Victorian Rose Tea House and La Premier Catering in Rochester, Michigan. The tea house owner, Loretta, has an inviting historical home with family heirlooms that makes you feel like you’re traveling to Europe. She and her employees greeted my family with freshly brewed pomegranate tea, homemade papaya scones, fresh fruit salad, tastes of bruschetta and goat cheese, deviled eggs, and Hula pie. Each course was served on antique china with the perfect portion to help us enjoy each morsel. Similar to my experience with Gloria Klemer, I was reminded to slow down and this time, embrace the day with my family. I am now challenging myself, and inspirNational readers, to drink tea regularly and pause in our fast-paced daily lives. By spending time relaxing and drinking tea, we are giving ourselves the gift of a refreshed mind, new ideas, quality time with our loved ones, and the rejuvenation necessary to live an inspirNational life. 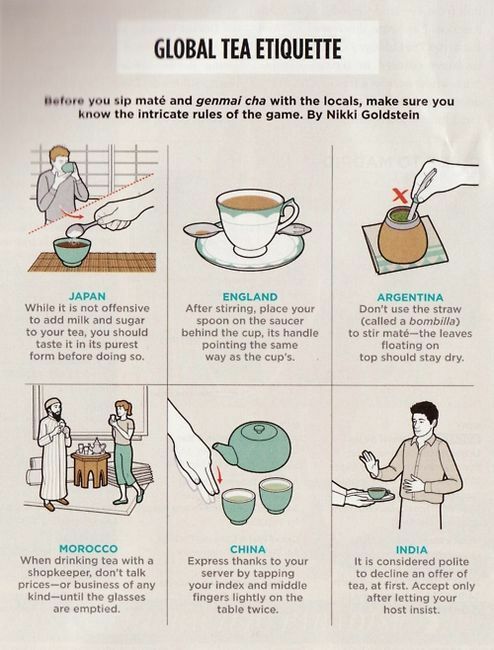 As an interesting side note, learn more about tea etiquette throughout the world below, so you can spread the tea inspiration no matter where you are living or traveling!